Play as a shark with other online players. Your task is to find letters in the ocean to form a word. It’s a new concept of word search in a simulation game. Eat the other online players to complete the word. Bigger sharks will eat smaller sharks. So, upgrade to Big Shark to eat other players. Welcome to the different worlds of underwater shark games. Hunt for your targets on the beach & underwater fishes, animals & humans in the game to survive & earn coins. Eat to power up with 100’s of crunchy delicious & dangerous creatures in the ocean like baby sharks, jellyfish, fishes etc. This Underwater simulation game has stunning quality, 3D graphics, & cool sound effects which will drive you crazy. Get the Double headed sharks to dress up with the freak in’ costumes like different kinds of hats, weapons, headphones, hammer, axe, magic wands & many more exciting accessories. Try the Terminator shark which can transform into tiny shark to eat its prey. Hey! These simulator sharks are gigantic, crazy, freaky powers & cooler than ever just waiting to attack their prey. Share & collect all the sharks underwater to become the king to rule the underwater ocean. This is one of the best shark games. Explore the unseen world of sharks & their life under water. Multiplayer mode to play with your friends. Connect & hunt your prey in different worlds. Explore with different kinds of sharks with crazy features to hunt. Solve the word puzzle in Multiplayer mode. Various Shark upgrades to hunt & survive. Friendly UI & fun FREE game play. Explore & hunt other players in multiplayer mode. Search and eat letters in the ocean to complete the word puzzle target. Upgrade to bigger shark to eat online players. Let’s see how strong you are & how well you compete to survive underwater with your friends. First Multiplayer game in shark Category! Unique Missions & Objectives to complete in single player mode. Free Game with lots of prizes & rewards! 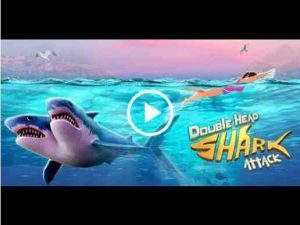 Install & Play as Fearless Double Head Shark Attack ready to hunt for the survival. Do you like this Double Headed Shark Attack? Don’t forget to leave a review with your feedback. It will mean the world for us! We, Bigcode Games, provide entertainment with a responsibility to maintain quality. We always welcome feedback and comments below. You are requested to review and comment so that we can make games better for our valuable players. Please feel free to suggest us any improvements that could help us make the game better. We are expertise in simulation game & casual games. 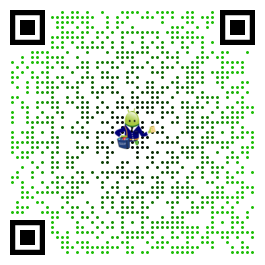 Thank You for the download. Nice game… excellent effects… full happy with game. Nice Game, Good Design & Sounds. kind of addicted to it ! !